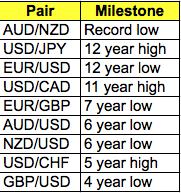 2015 has been a great year for the U.S. dollar but with only 5 trading days left many investors are wondering if being long dollars in 2016 is still a smart trade. December has been a difficult month for the greenback with dollar bulls struggling to maintain control. 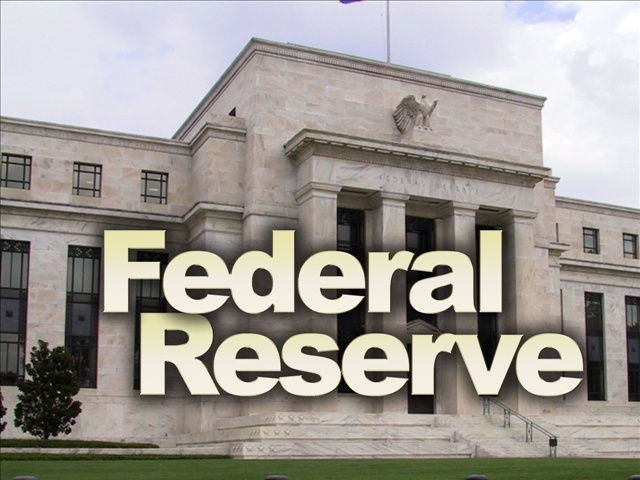 The Federal Reserve raised interest rates for the first time since June 2006 but instead of appreciating, the dollar erased nearly all of November’s gains. Now many investors are wondering that if a rate hike and hawkish forward guidance can’t lift the dollar, is it foolish to be buying greenbacks in 2016. To answer that question we have to understand why investors sold dollars in December. The bet that the dollar would rise in 2015 was one of the world’s most crowded trades and according to the CFTC’s Commitment of Traders report, forex futures traders were busy adjusting positions ahead of the December 16 FOMC meeting. The biggest changes were in euro and yen where investors aggressively cut their short euro and short yen positions. This means that investors started to unwind their long dollar trades ahead of FOMC and based on the price action after the meeting, liquidated further after the rate hike. Buying dollars became a very crowded trade in 2015 and a lot of money moved to the sidelines at the end of the year. This means there’s money to put back into play in 2016. Yet positioning was not the only reason why investors bailed out of the greenback. According to the following chart past tightening cycles have not been good for the dollar and this scared many investors. 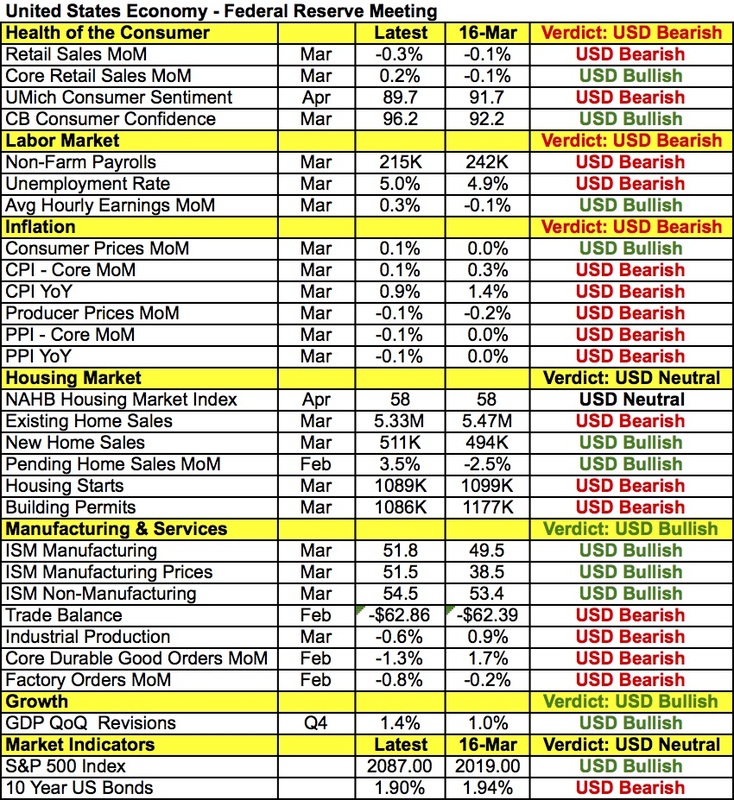 While USD/JPY generally appreciated leading up to the rate hike, on a number of occasions it reversed course after tightening but this cycle is different because the first few months of the year will be good for the U.S. economy and the dollar. The warm El Nino weather and low gas prices will boost consumer consumption, which is already supported by steady job creation, wage growth and consumer borrowing. The Fed also welcomes new hawks to their roster of FOMC voters. Six years after the financial crisis and the European Central Bank is still struggling to turn around their economy. As recently as December, they increased stimulus in a desperate attempt to revive growth and drive inflation higher. This illustrates how deeply entrenched the slowdown is and how poor of a job Eurozone policymakers have done this past year. In the third quarter, the Eurozone economy expanded by a mere 0.3%. During this same period the U.S. economy grew 2%. Inflation is low around the world but the approximately 10% slide in EUR/USD combined with the full scale QE program launched in early 2015 should have been more effective in boosting inflation, which ran at a 0.2% annualized pace in November – well short of the central bank’s 2% target. 2016 brings more challenges for the Eurozone economy. While the ECB is comfortable with the current level of monetary policy they will need to extend bond purchases beyond September 2016. September is only a soft target and we can’t see a scenario where growth or inflation will improve enough 9 months forward to warrant a reduction in stimulus. Also, if inflation and growth do not make significant upside progress, the ECB may need to expand the program in the coming year. The ECB’s decision to provide additional stimulus in December reflected their sense of urgency and their overall concern about the economy. Their efforts are paying off as there have been signs of recovery in the Germany but meaningful risks lie ahead. The prospect of further weakness in emerging markets, particularly China, unstable geopolitical situations in the Middle East and Russia, high unemployment, stagnant wages are just some of the problems posing downside risks for the Eurozone in 2016. Countries in the region will benefit from the new round of stimulus, weaker euro and low oil prices but the benefits will be slow to come. France and Italy have not made much progress in terms of growth and while Spain is doing well it is only the fourth largest economy in the region. The fiscal position of most Eurozone nations is also very weak with only a handful producing a budget surplus in the past 3 years. 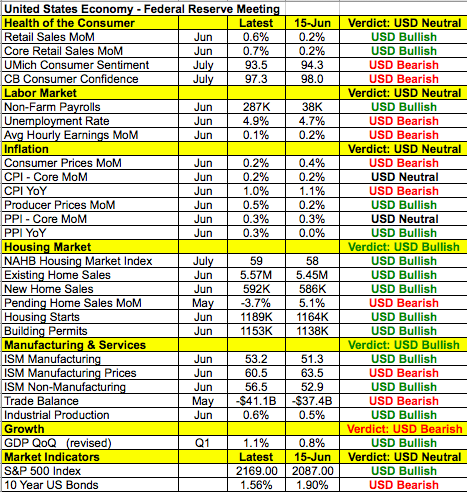 The largest sector, financials will suffer from negative deposit rates. Debt levels are high and major progress towards reducing that burden is not expected over the next 12 months.